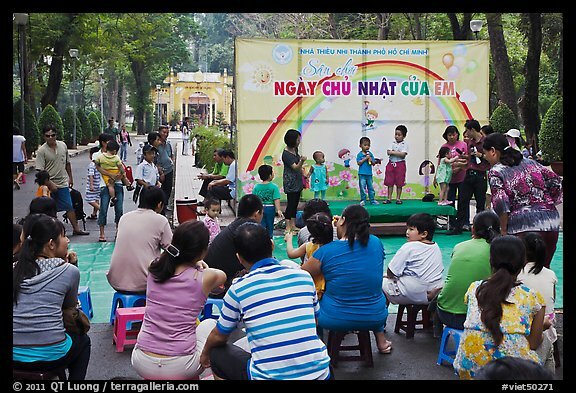 As seen in the two previous posts, there are plenty of sights and views in Saigon – more “interesting” than “spectacular” – however what interests me the most in that city is simply to observe and capture simple moments of life. In many places, I’ve been threatened verbally for taking photographs of people. In my native France, the birthplace of street photography, current privacy laws apparently require prior permission before any pictures are taken in public spaces. After a few shots of a street market, or a carousel, I was confronted with suspicion. Not in Vietnam – or most of Asia – for that purpose. Almost nobody cares that you are taking their photograph. If there is any feeling, it is mostly of curiosity. 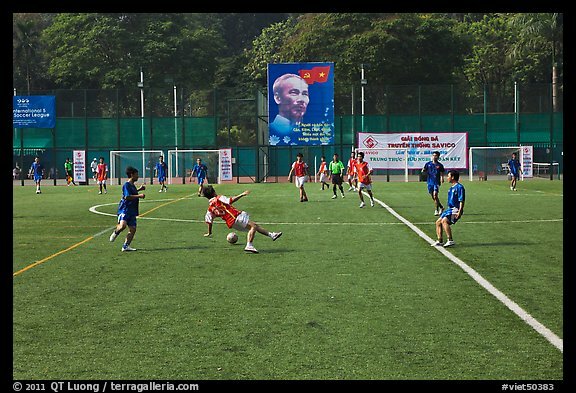 As far as photography is concerned, one of the last communist countries is actually wide open. 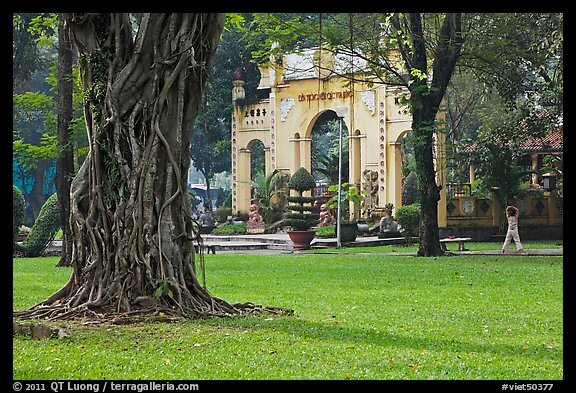 Cong Vien Van Hoa (also known as Cong Vien Tao Dan) is a urban park, originally designed as a recreational and sporting ground for the French colonial elite. A French Colonial clubhouse in the middle of the park reminds you of this past, but now the amenities are very affordable, making the place popular with all age groups. 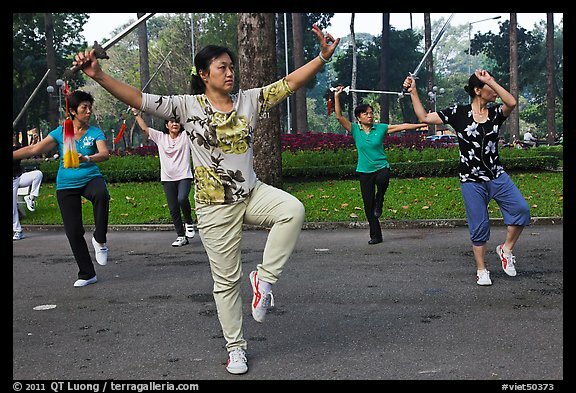 Just a few blocks from Central Saigon, the park provides them with a welcome respite from the hustle and bustles of the city. At first, kind of like most of the city, the park appeared unremarkable, but after a while, I began to notice scenes that one doesn’t see everywhere. Toddlers and very young children individually take to a podium to sing a song, a girl pulls out her mobile phone and uses it as a boom box to direct the dance of two other girls, a trio hits a badminton shuttlecock only with their feet, passing it around dozens of time without letting it touch the ground, a group practices Tai Chi with swords, a soccer match is played under the watchful eye of a political leader deceased more than 40 years ago. As those, and many other condensed narratives show, the human comedy is alive and well in this modest park. Interested in traveling to Vietnam ? 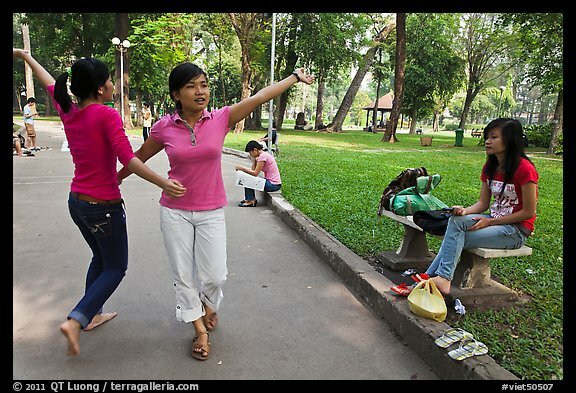 Check the Vietnam photo tour that I will be leading in Fall 2012. Posted on December 4, 2011, 11:30 pm, by QT Luong, under New images.